Now I appreciate there are few who are as old as I am, but if you are you may remember the claim, in the early days of nuclear power, that energy would be produced so cheaply "it would not be worth metering it". Given how well that worked out, I am inherently sceptical of such claims. The core of the argument is that mobile communications are moving towards "5G", with a standard expected next year. Yes, but what does that mean? Today's top trivia is that the first call from what we would recognise as a cellular mobile phone was made on 1 January 1985, from London to Vodafone's headquarters in Newbury. Back then mobile communication was analogue, and because there were a range of standards around the world, roaming was largely impossible. The second generation of mobile phones was born with the first digital system, in Finland in 1991. This time around everyone was sensible enough to collaborate in an organisation called Groupe Sp©cial Mobile so there were some common standards and we could take our phone on business trips. As is all too common, the USA insisted on its own standards and so roaming in the USA was difficult for a while. At this point we did not really talk about generations of mobile technology, but inevitably the marketers got into the act. So the next development, which was not a new generation but a compatible evolution, was dubbed 3G. While even the earliest digital cellphones had the capacity to transfer data - for what is a text message - 3G was the time when people started to think about the mobile as being more than a phone. The first 3G networks were launched, with a staggering 0.2Mb/s data rate, in 1998. The iPhone, incidentally, did not come along until June 2007, and it took a further year to add 3G to its capabilities. The presence of the iPhone, and all the other smartphones that followed it, drove home to telcos the need for good data over mobile connections. They collectively announced a development programme called LTE for long term evolution, which suggested a measured and considered response. So the marketing folks ignored it and starting talking about 4G. Which meant that the first so-called 4G networks were really just fast, data-centric 3G networks. Real 4G, as defined by the LTE roadmap, uses IP packet switching. 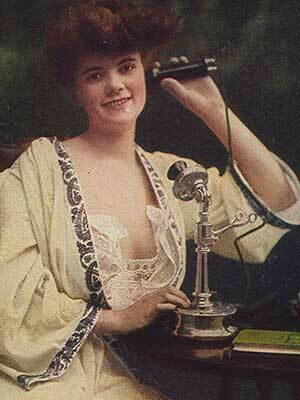 Telephone calls - for those few people who use their smartphones for talking - are actually voice over IP. The big news was that 4G brought about some real (potential) speed: a peak of 100Mb/s when moving, and 1Gb/s when stationary. I've just run Speedtest on my iPhone 7, sitting on my desk, and got a download speed of 24Mb/s, so these numbers are clearly aspirational. And now we are talking about 5G. Again, there is a serious body behind this, the Next Generation Mobile Networks Alliance, although they seem to have the same lack of success in controlling the boys and girls in marketing. The proposal for 5G suggests that it should be able to offer several tens of megabits a second to tens of thousands of users, or gigabit rates to tens of workers on a single office floor. NGMN's white paper says "there is a need to push the envelope of performance to provide, where needed, much greater throughput, much lower latency, ultra-high reliability, much higher connectivity density and higher mobility range". The alliance's website adds "5G is an end-to-end ecosystem to enable a fully mobile and connected society. It empowers value creation towards customers and partners, through existing and emerging use cases, delivered with consistent experience, and enabled by sustainable business models." But of course we are demanding more and more data. Augmented reality - remember Google Glass - needs to be always on if it is going to provide worthwhile augmentation. The Internet of Things means that there will be many more cellular connections than people in the world. I have documented a project in which an intelligent ice cream fridge in the corner shop determined likely demand based on the outside temperature and placed its own orders. And of course there is media consumption. Real information is impossible to obtain, but good estimates suggest that 300 hours of video is added to YouTube every minute (I have seen estimates as high as 500 hours a minute). 75% of Facebook video browsing is on smartphones. "Bandwidth drives content and content drives bandwidth," said Spencer Stephens, CTO of Sony Pictures Entertainment. "If we can get enough bandwidth to the consumer, then we can change fundamentally how we deliver content." Which makes it interesting times for all of us.